Who is your प्रिय planeswalker? Are आप excited for Kaladesh? Do आप like the और rounded lay-out? why do आप like to play Magic? प्रशंसकों के पसंद: Fun thing to do with फ्रेंड्स and making the decks too! Does anyone डिज़ाइन additional board layouts for Arena of the Plainswalkers? What is Your प्रिय ability that a creature can get? What mana color do आप like the best? लेख here for archiving purposes. Originally पोस्टेड on Examiner.com on April 10, 2013 and written द्वारा Alexander Silady. a question जोड़ा गया था: Does anyone design additional board layouts for Arena of the Plainswalkers? a comment was made to the poll: Who is your प्रिय planeswalker? 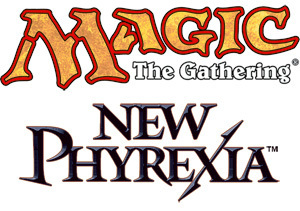 Who is the only planeswalker in the New Phyrexia set?